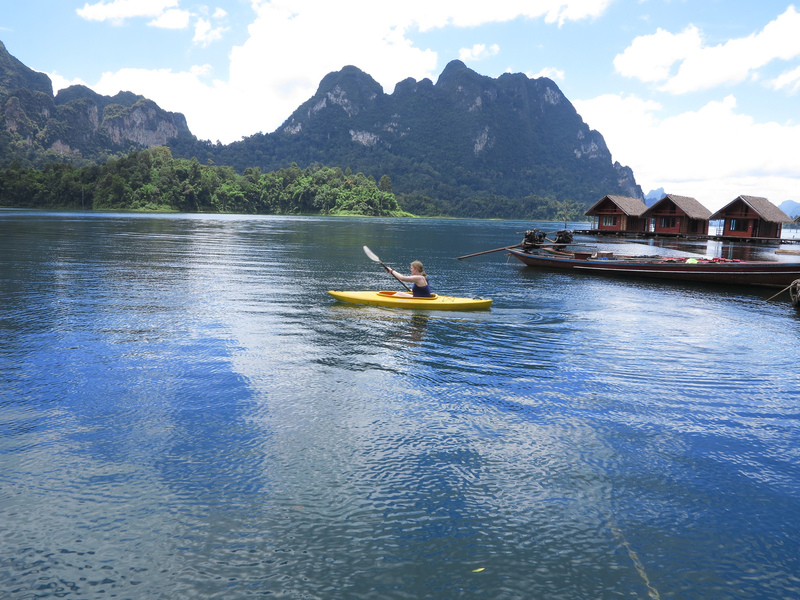 Khao Sok is a real piece of paradise in the south of Thailand. The park is home to one of the oldest tropical rain forests in the world, a deep blue lake with small islands, waterfalls grottos, limestone cliffs and lots of wildlife. It’s one of the few places in Thailand that’s best to visit during the low/hot season. One of the animals that can be seen in the wild is the gibbon. The Cheow Lan Lake in the center of the park was formed after the construction of a dam with a electric power plant. Here you can rent a floating bungalow at the water and enjoy refreshing swim and do water sports like kayaking. The bungalows are usually rented as part of a package tour including meals and excursions by boat at the lake. Start point from where the long tail boats bring guest to the different floating houses is the pier and car parking near the Rajjaprabha Dam. Please note that most of the other popular hotels and guest-houses (Khao Sok Palmview Resort, Khao Sok Palmview Resort, Khao Sok River Lodge, Khao Sok Tree House Resort etc.) are located at a different park entrance one hour driving by car away from the entrance near the dam. Close to the Rajjaprabha Dam is a Golf course with the same name. This National Park can easily be reached from the 100 km away city of Surat Thani. This city has an airport and is also used as a springboard to the islands Koh Tao, Koh Samui and Koh Phangan. The park is also reachable from Phuket. Transport, accommodation, tours and need to knows: www.khaosok.com. 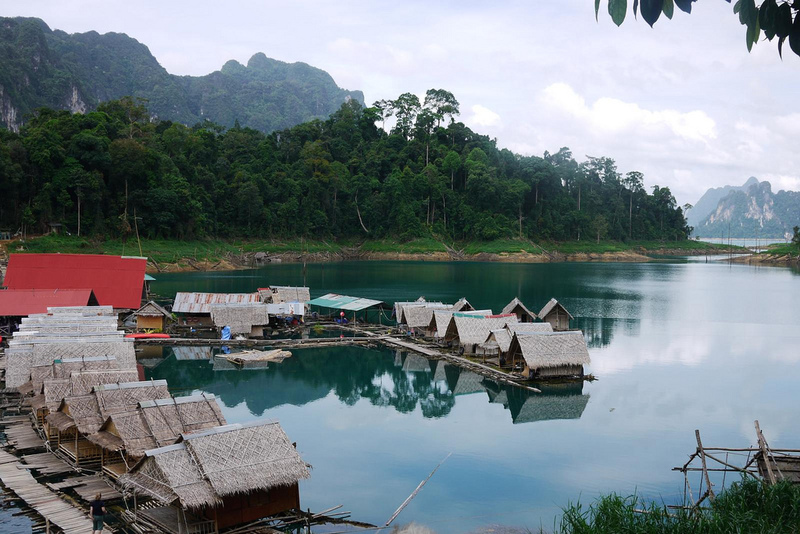 Travel report / guide by The Telegraph: Khao Sok National Park: All creatures great and small in Thailand’s magical rainforest.